Since I’m a real pushover when it comes to Mirai Nikki (also known as Future Diary), given how awesome and spectacular it is, I’m very much willing to recommend it to everyone without any second thoughts. And really, it’s so tremendous in terms of its overall story and fundamentals that I’ve watched this anime a lot of times already. In fact, I’m willing to re-watch it again and again, for as long as it exists. That’s how good Mirai Nikki is! With every action, psycho-scene, and even the bland moments, if there even are any, this action-psychological-drama-thriller anime show is a masterpiece! 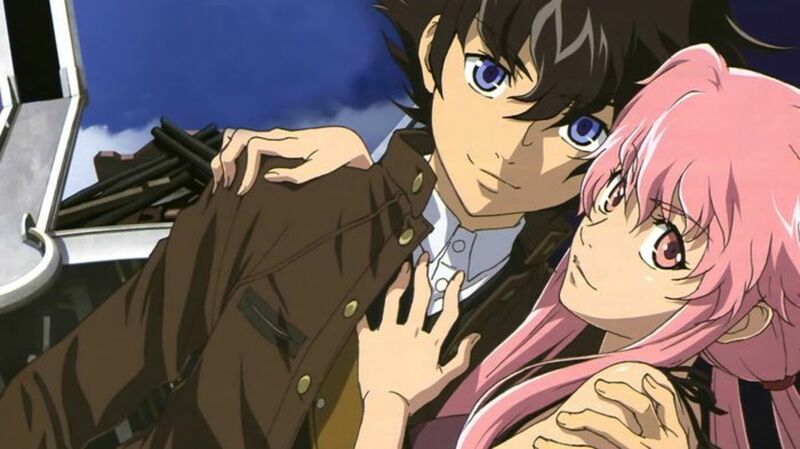 And so, to acknowledge that fact, I am sharing more anime like Mirai Nikki for everyone to watch and relish. I’ve handpicked all of these titles based on relevance and how I feel about them, so judge them on your own. No matter what, though, I’m sure you’ll enjoy the thrill ride! 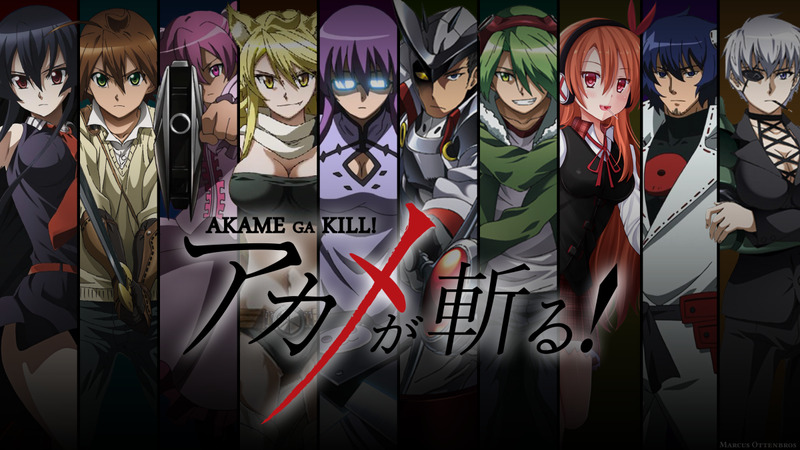 Now rush head-on through this list of anime similar to Mirai Nikki, and get the thrill and suspense and maybe the action of your life! As Deus ex Machina is slowly withering and losing his grip on his role as the God of Space and Time, he arranges a survival game to determine the person who’s going to be wielding his godly powers, calling upon twelve people and giving them the power to predict the future in the form of Future Diaries. The twelve are to fight against each other until one remains standing. Aloof student Yukiteru Amano is one of the chosen Future Diary holders and he has to break the silence of his mundane life in order to participate in the deadly survival game. In this game of life and death, it’s either a seamless victory or … a dead end! The Story: It’s all fun and games until someone actually gets hurt! 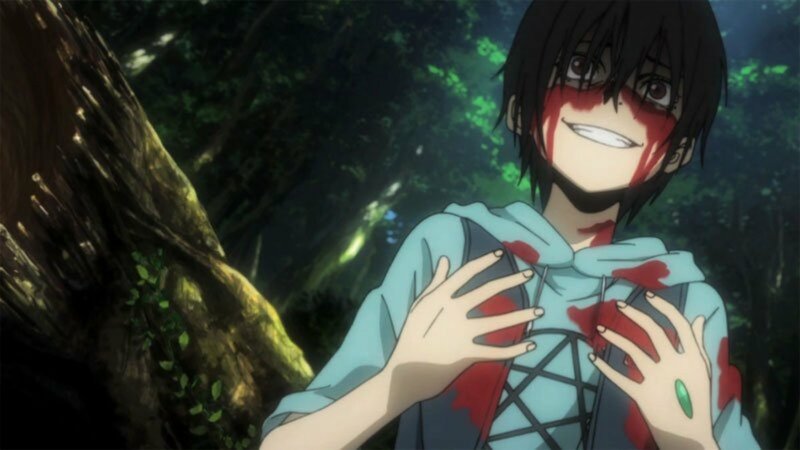 And so, for Ryouta Sakamoto and a few unlucky others, playing the massively popular online game “Btooom” in real life on a desolate island is in no way fun but rather, devastating and deadly. After being sent to the island with nothing but bomb-weapons called BIMs, Ryouta and the others must battle it out with each other until they stand above the rest and are given the chance to leave the island. 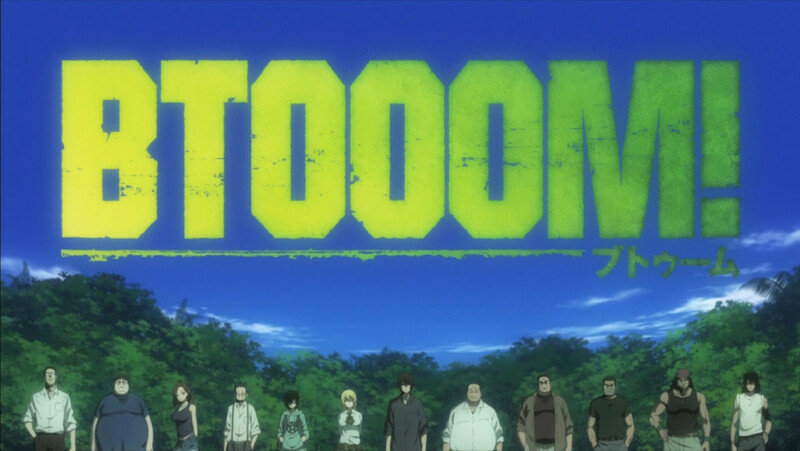 The Similarity: From the survival theme to the action mayhem, there’s a lot that can be compared between Btooom! and Mirai Nikki. Both are similarly intense and exciting. Both are similarly engaging and appealing (in a lot of good ways). And both seem to drag the audience into the battles and the story as if they are part of it and experiencing it. In essence, Btooom! also reaches a high level of greatness, taking center stage and showcasing what action truly is. I’m sure everyone will enjoy and savor every moment of every scene. The Story: Strolling out in what she feels is the center of the world, Morimi Saki faces some unexpected trouble when she acts suspiciously in front of the White House. Fortunately, a mysterious naked guy comes to her rescue. That young man is Takizawa Akira; he doesn’t remember anything, and all he has in his possession is a gun and a bizarre cell phone with ten (10) billion credits in it. And he has a concierge named “Juiz” who can carry out practically any request he makes. 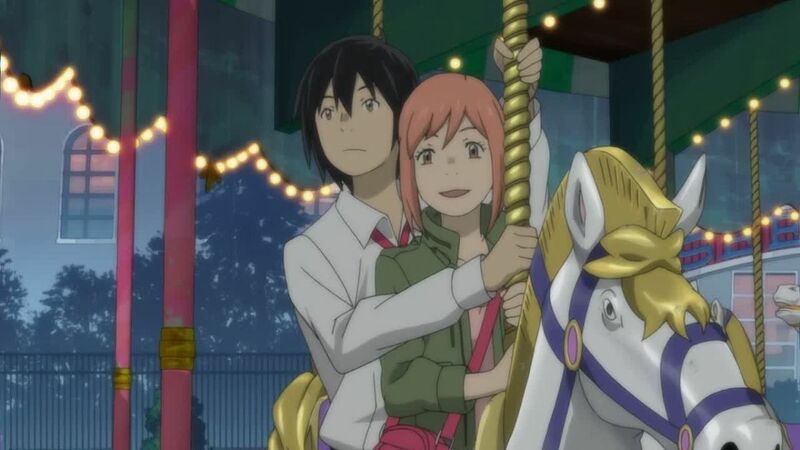 And so, Saki being caught up in the situation, she and Akira travel together, only to discover that more extremely peculiar events (involving the Selecao, the Careless Monday, and the whole of society) are just about to happen. The Similarity: Look what we have here! Higashi no Eden shares the concept of survival games and phones with Mirai Nikki. For Higashi no Eden, we have the Selecao (12 of them), the Noblesse Oblige Phones, and Juiz. For Mirai Nikki, we have the Future Diary holders (12 of them), the Future Diaries (commonly taking the form of phones), and Deus ex Machina. Have you noticed the high degree of similarity yet? One of the main differences is that Higashi no Eden focuses on its mystery aspect while Mirai Nikki focuses on its psychological aspect. 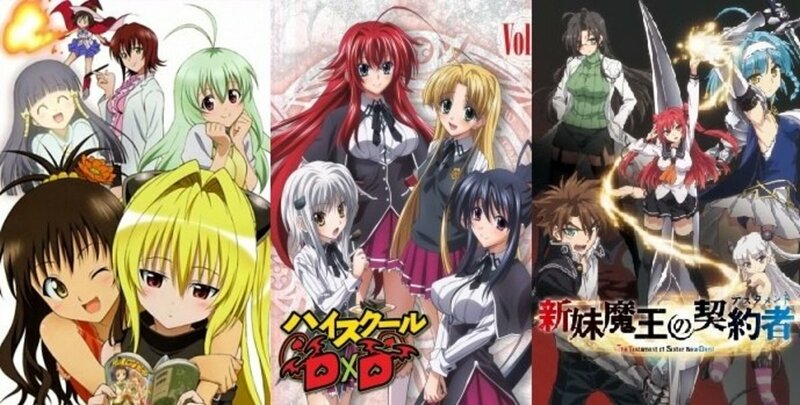 Nevertheless, both anime share a lot of similarities, more than you could have expected. The Story: It’s the start of high school, and Naegi Makoto and fourteen other students are gathered in an unexpected and desperate situation. All of them are trapped in the school with a strange principal named Monokuma (Monobear) and their only chance to graduate and ultimately escape from the school is to kill one another without getting caught red-handed. If the killer succeeds, he or she can escape while the others get severely punished by death. On the other hand, if the students successfully point out the killer, they can live for a while longer and the killer gets executed. It’s kill or be killed … or perhaps just live forever together! The Similarity: If it’s all about mind-blowing plot twists and turns, then Danganronpa has plenty of those, the same as Mirai Nikki has. Danganronpa blows minds while making viewers subconsciously ask for more. From the very first episode to the last, it’s nearly impossible to put down without pushing through to the end and getting to know the big twists and gigantic revelations. The downside, though, is that it has no action—just mind games, psychological plays, and mysteries. 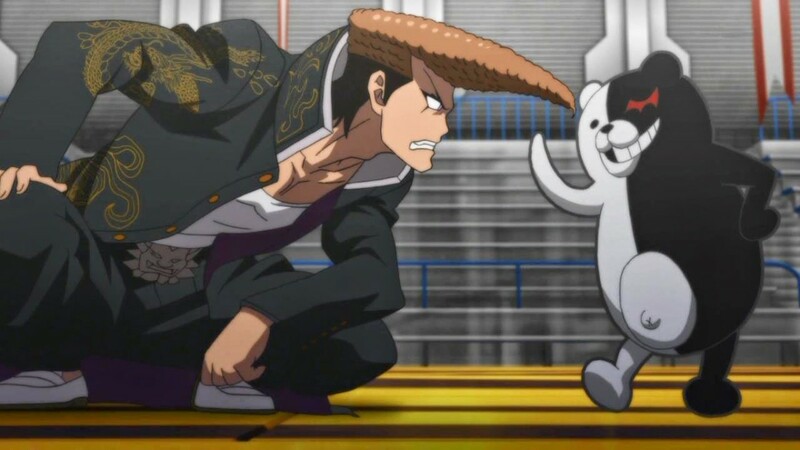 That doesn’t make it any less good though, because Danganronpa is just as brilliant as it can be. The Story: Igarashi Ganta is living a simple and normal life until a dreadful event happens. Out of nowhere, a mysterious red man suddenly smashes into his classroom killing everyone except him. After this traumatic event overwhelms him, he is framed as the perpetrator of the mass killing in his classroom. Now sent to the high-level security prison (which also acts as a wonderland), the Deadman Wonderland, Ganta is entangled in more bloody revelations— everything concerning him and the man in red. 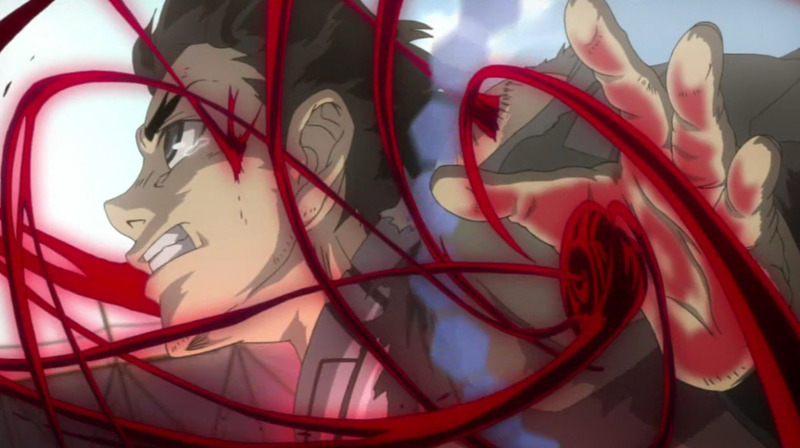 The Similarity: There’s a balance of action, drama, psychological twists, and dark elements in Deadman Wonderland. That’s why it’s on a similar level to Mirai Nikki. Up or down, they’re both pretty well-made and intense. There’s action when you need it, and there’s the complex story when you need it as well. Most of all, things invisible to the eye are deep down within the plot, where both series excel in being thrill-packed and suspensefully good. The Story: Sitting in class one day, Yagami Light sees a notebook fall from the sky. Curious, he picks it up, not knowing that it’s a notebook that will change his life forever. The notebook is called the “Death Note”, and anyone whose name is written in it dies. Light uses this power to change society and bend the world to his will. Under the name of Kira, Light will stop at nothing until the world is free from the clutches of criminals. Whether what he does is good or bad, the only one that has the brains and wit to stop him now is a mysterious person known as “L”. The Similarity: Personally, I think Death is one of the best when it comes to being all dark and psychological. Also, it excels in being an anime that actually uses brains and wit in a very effective way. There’s no action of course, but Death Note’s atmosphere makes up for it, on a par with if not better than Mirai Nikki. If you want more action—go with Mirai Nikki. 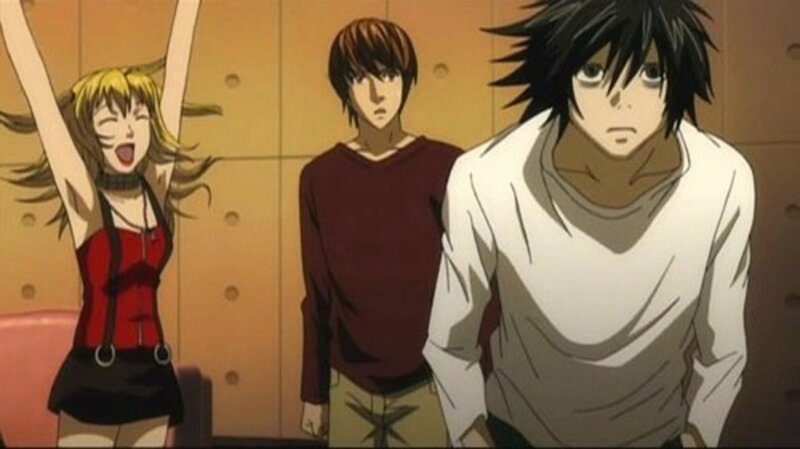 If you want more psychological stunts and brilliant mind games—go with Death Note. If you want to enjoy both worlds—then definitely watch both! The Story: Madoka Kaname is an eighth grader whose life has been peaceful, simple, and full of love, so far. One day, a mysterious transfer student glares at her, asking not to get involved in anything bizarre and become someone she would definitely regret. 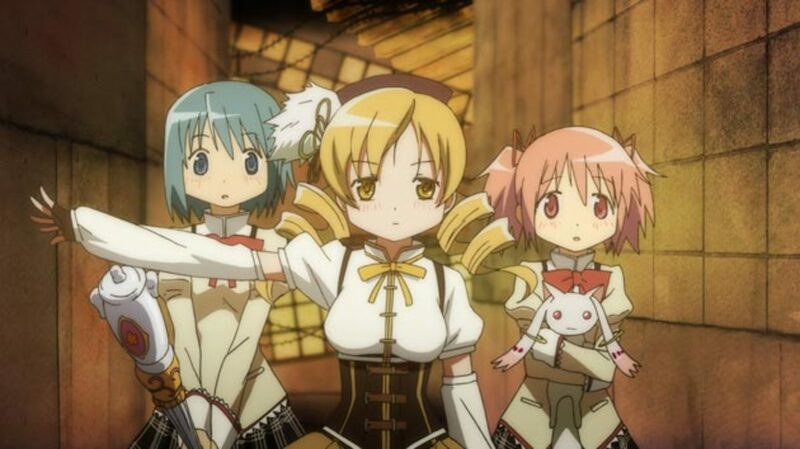 At first, Madoka doesn’t understand the warning, but when a magical creature named Kyuubey calls for her help and offers to grant one miraculous wish at the cost of turning her into a magical girl, everything changes abruptly! For better or for worse, there’s only one outcome—a dreadful tragedy that can only be reversed by a phenomenal miracle! The Similarity: The main similarity between Puella Magi Madoka Magica and Mirai Nikki is a ginormous plot twist that comes with a bang! Seriously, it’s really the plot twist that feels the same with them (both actually involve time), and I don’t want to spoil it for you, because it’s better if you find it out yourself. 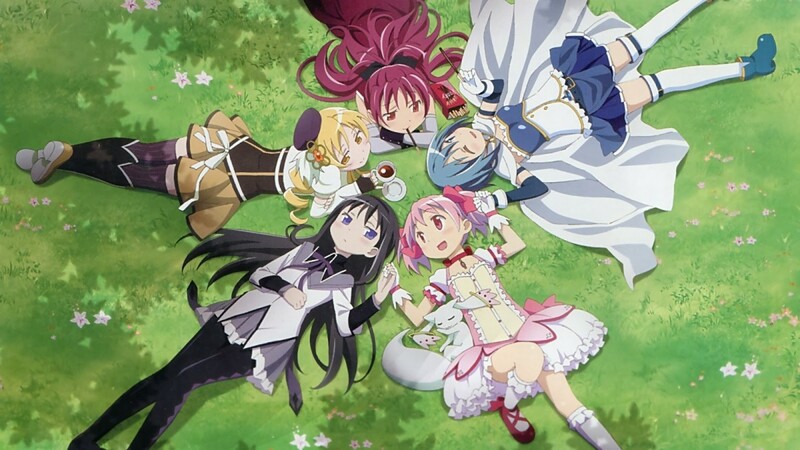 To say the least, I’m sure you’ll enjoy Puella Magi Madoka Magica, because of the way it doesn’t seem like what it truly is. 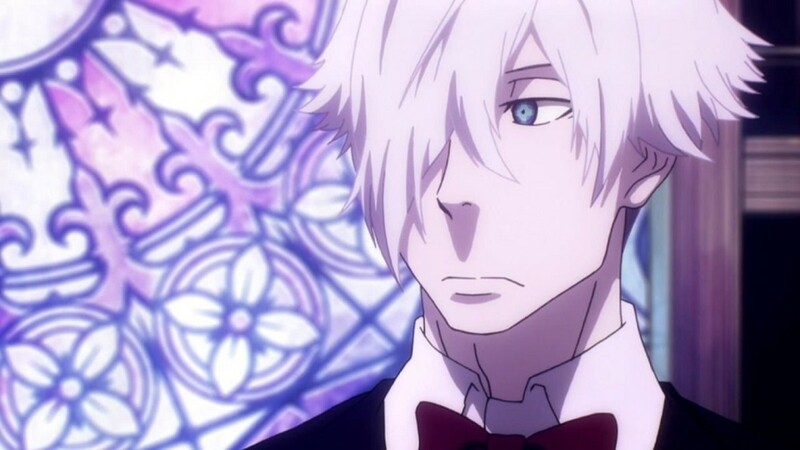 Aside from the things I’ve mentioned, this anime is dark and really mind-boggling. It’ll have you thinking about it for days, weeks, months, or even years to come after you watch it. The Story: With the Future Gadget Research Laboratory (manned by Okabe, Mayuri, and Daru) inventing futuristic gadgets every now and then, who would have thought that they would suddenly hold in their hands a device that’s capable of meddling with time and altering current events real-time?! That’s right, the “Phone Microwave” is a phenomenal gadget that can transmit messages through time. But along with its use come grave encounters. A heinous group gets wind of the gadget, so it’s now the job of Okabe, Mayuri, and Daru to use the Phone Microwave to its potential and keep it from falling into the wrong hands. The Similarity: Just as Mirai Nikki literally translates to "Future Diary," Steins;Gate is also all about altering the future with information that is known beforehand—and both anime alter the debacles of time through the use of particular phones! Now, what could be more thrilling and exciting than that! 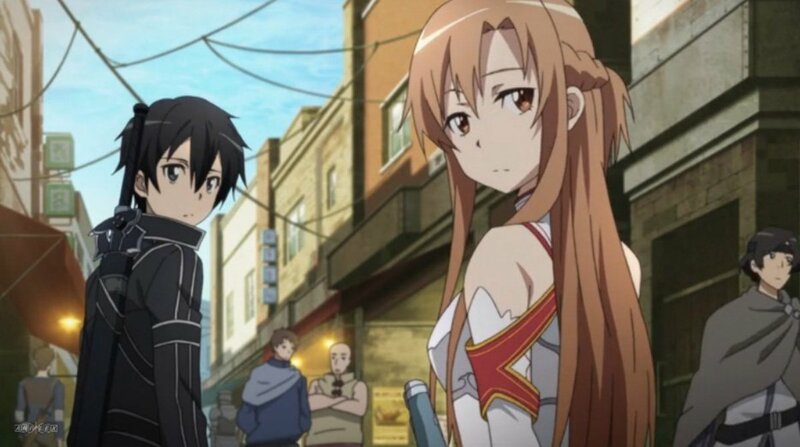 I mean, both anime are highly fascinating, not because the future is no longer a secret in both, but because these two shows are captivating in their own right. Suspense, thrills, action, and twists—there’s plenty more where that came from, and you’ll find quite a lot in Steins;Gate. 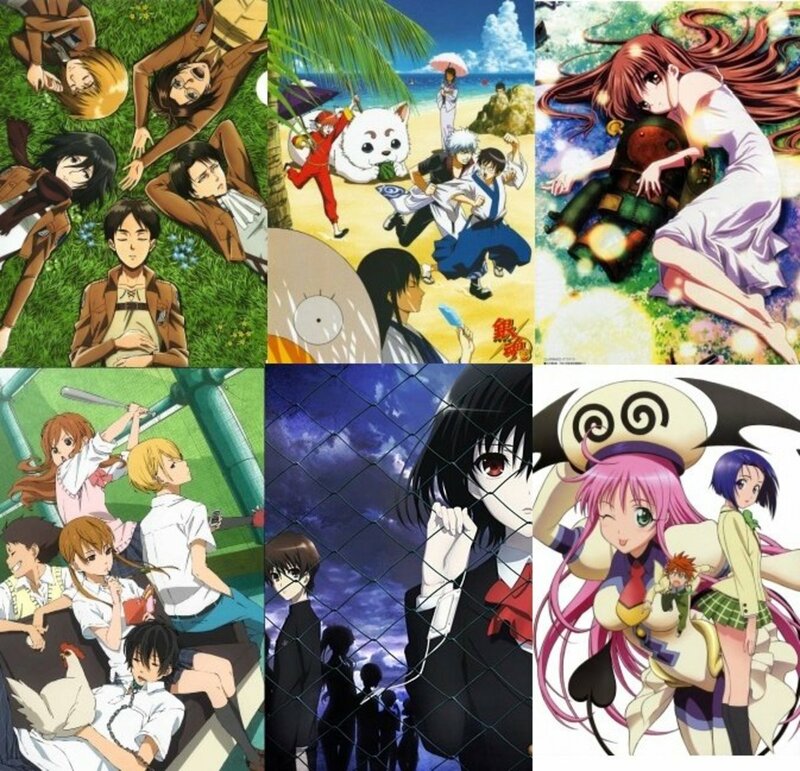 How many of these shows/series have you watched? 1 - One and alone! 3 - Half and away! 4 - That's way more than half! 5 - A bit more and you're there! 7 - You are the real deal! i really like psychological anime. when you start watching you cant stop! the animation in all the above is also great and i love how all characters are all so different in dealing with stuff like this. But you have to keep your attention to the anime because if you miss something you might dont understand the rest of the series. 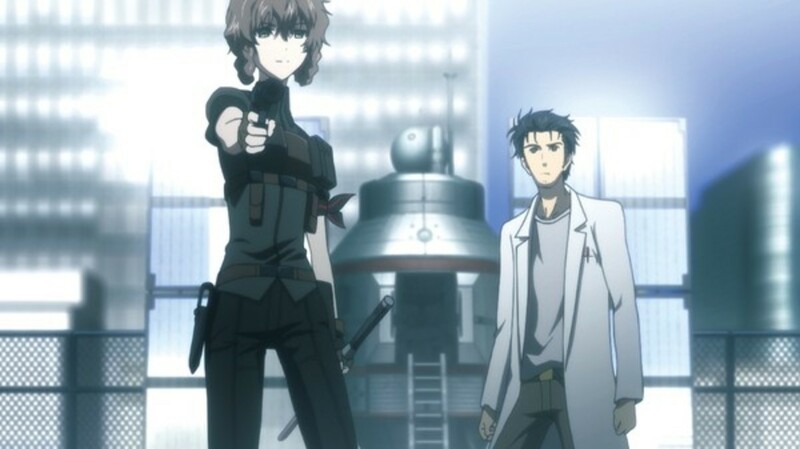 Comparing Mirai Nikki to Steins;Gate is like comparing a ball of turd to an apple. I've seen death note and dangan ronpa. I would also recommend another. I have watched Death Note (my ultimate favorite before Mirai Nikki came along) as well as Puella Magi Madoka Magica. This is a really great list. I'll be trying the rest of it. Thanks a lot! So happy you have Steins;Gate here, I adore that anime.